Home / Pharmacy Technician / What is a Pharmacy Technician’s Salary, Duties, and Job Outlook? What is a Pharmacy Technician’s Salary, Duties, and Job Outlook? If you are considering becoming a pharmacy technician, here is what you need to know about duties and salary. Pharmacy technicians must be able to stand on their feet for long periods of time, and they also need to have the capabilities to lift heavy boxes, climb ladders and bend. 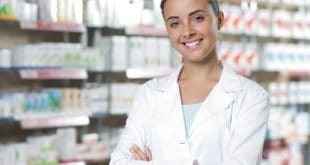 What is a Pharmacy Technician’s Salary? According to the American Medical Association, certified pharmacy technicians who work in retail pharmacies (also called community pharmacies) earn $19,000 annually. As the technicians receive promotions, their salary will rise. According to the U.S. Bureau of Labor Statistics (BLS), pharmacy technicians employed by hospitals nationwide earned an average annual salary of $34,450 in 2012. The BLS also states the salaries of pharmacy technicians can vary based on the type of hospital. In 2012, those who worked in general medical and surgical hospitals earned an annual salary of $34,410, while technicians who worked in psychiatric and substance abuse hospitals earned $33,470. This is usually the largest factor when it comes to determining a salary for any career. For example, the highest paying cities are all in California: Oakland ($49,950), San Jose ($45,720), Napa ($46,400), and San Francisco ($45,280). The states that pay pharmacy technicians the highest are Alaska, Washington, California, and Hawaii. The ones that pay the lowest are Alabama, Kentucky, Mississippi, Oklahoma, and Arkansas. Not all states mandate certification. However, pharmacy technicians who live where it’s not required should still sit for the exam. Certification gives technicians better jobs, a faster path to promotions, and higher wages. The certifying organizations are the Pharmacy Technician Certification Board and the National Healthcare Association. First Aid/CPR – Students learn the proper technique for CPR and basic first aid. Pharmacy Law and Ethics – This course centers on professional ethics and local, state, and federal laws that affect how pharmacies practice. Communication in the Workplace – During this course, students learn effective oral and written communication skills for a work environment. Dosage Forms – Students learn about the different forms of medications including capsules, injections, pills, and suppositories. Anatomy – The study of the human body’s structure. Pharmacy Computing – Students learn about programs used in pharmacies such as inventory and record keeping. Pharmacy Practice – This course teaches students about the various drug forms, administration, and prescription writing. Health Science Physiology – Students learn a great deal about human physiology including the digestive and nervous systems. The BLS reports a twenty percent job growth throughout the country until 2022. One reason for the new positions is that new healthcare laws have made medical treatment more accessible to patients. Please contact us if you have any questions about the pharmacy technician field. Next What is a Physician Assistant or PA? How Much Does a Pharmacy Tech Make?